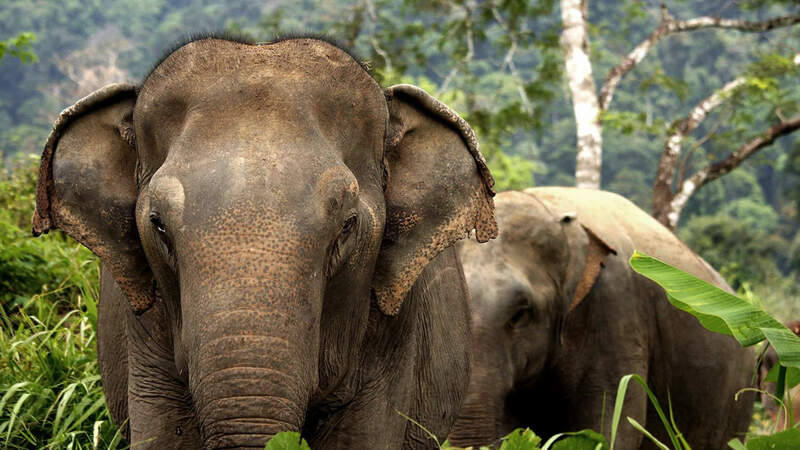 Dok Gaew was one of the first elephants we welcomed to Phuket Elephant Sanctuary in 2016, and known for her kind spirit and bright shining eyes. She was named after the “Orange Jasmine” flower. 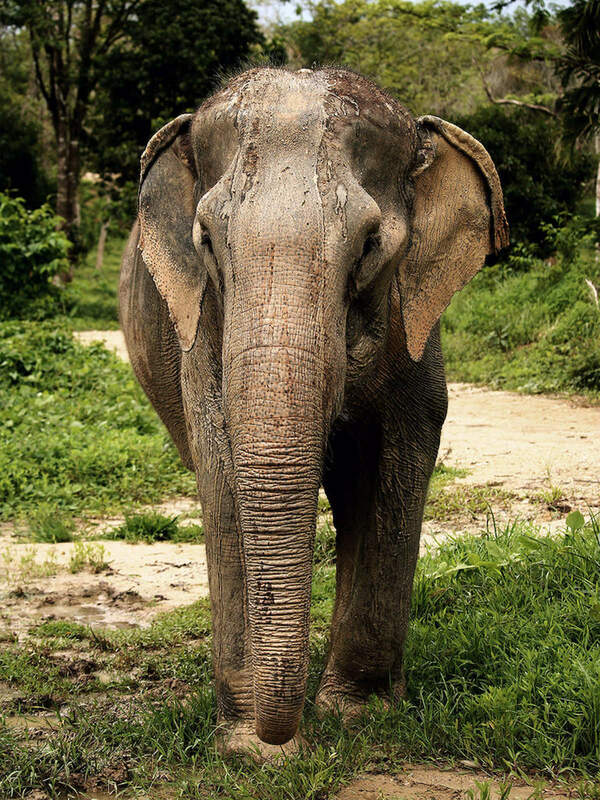 At over 60 years of age she was the ‘Grandmother’ of our elephant family. 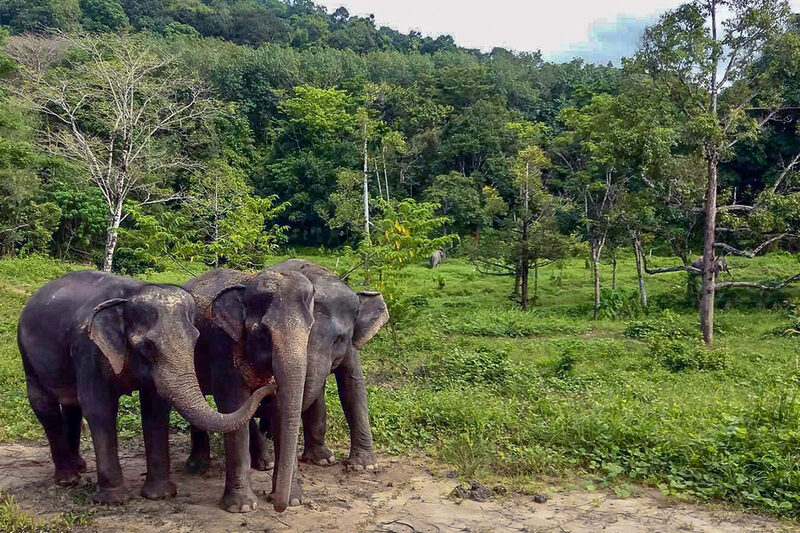 Dok Gaew spent the first 50 years of her life working in the logging industry. 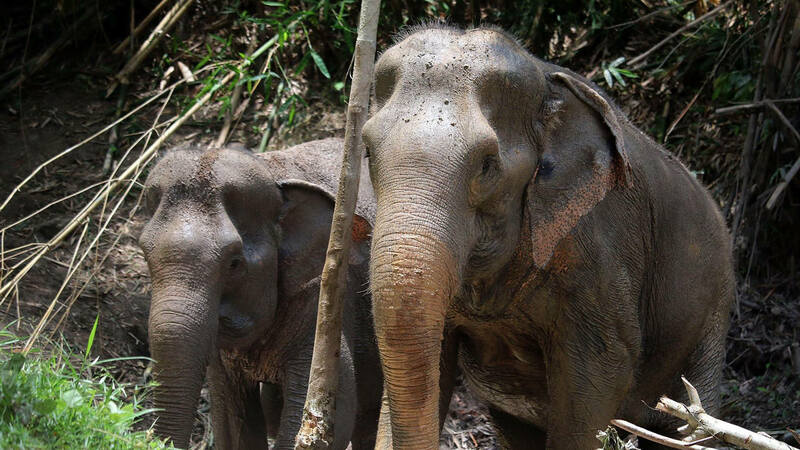 When she became too weak to carry the heavy logs she was sold to an elephant camp in Phuket for tourists to ride. 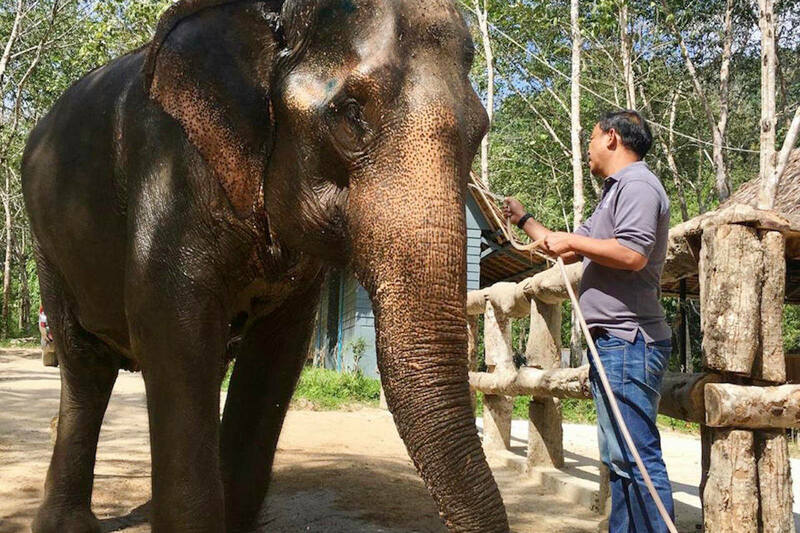 However, even this work became too tiring and when Dok Gaew got sick and injured, she was no longer able to work at the camp. We found her at the camp with the above mentioned injuries and in a very weak state. 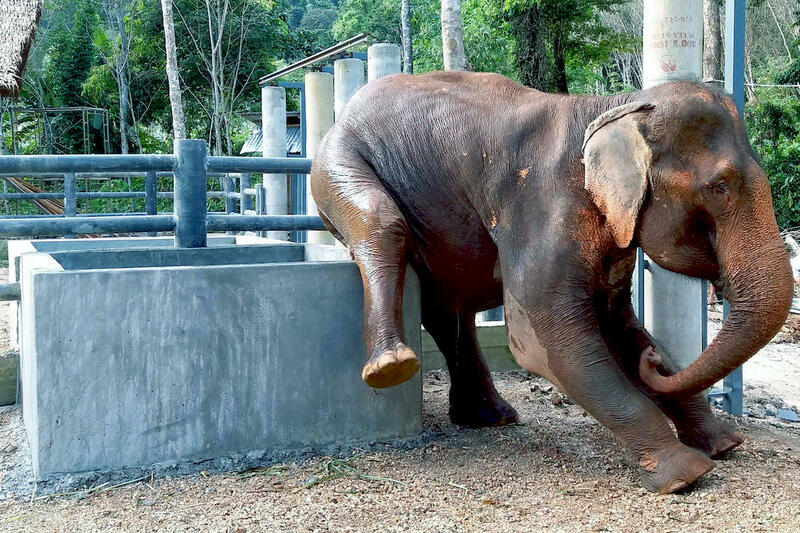 Her legs in fact were so weak and injured that she could barely stand up. 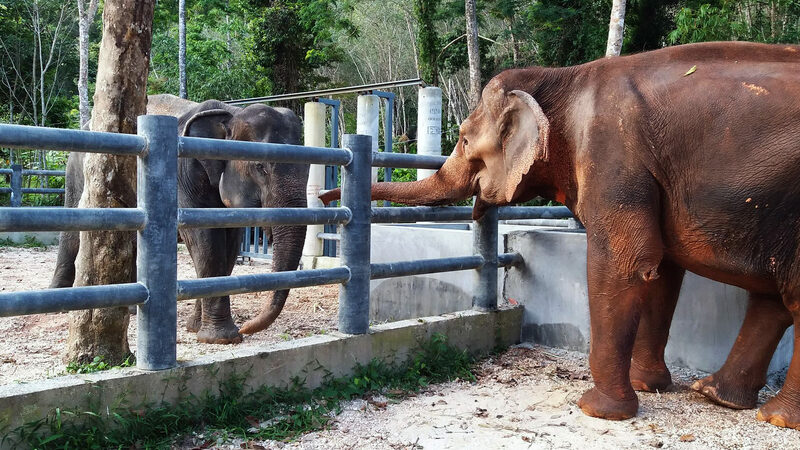 With the support of our team we managed to rescue Dok Gaew and moved her to Phuket Elephant Sanctuary on 10 December, 2016. 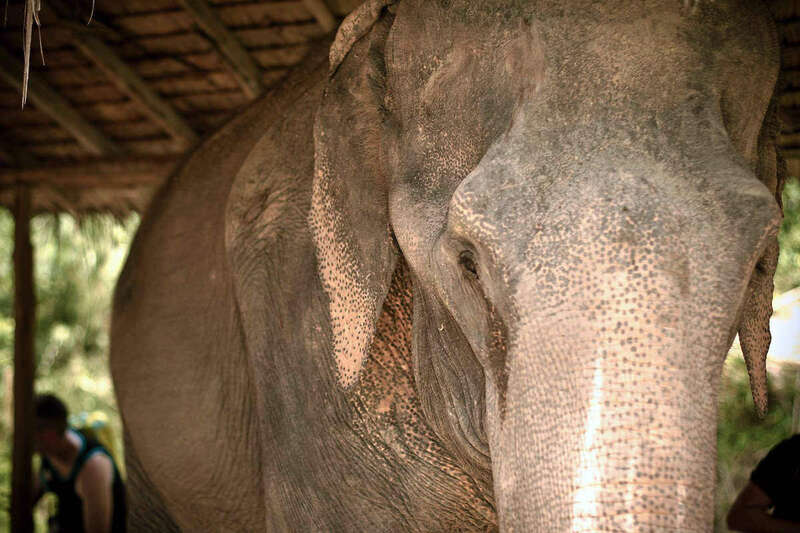 Our hopes of seeing her improve were fulfilled, and Dok Gaew recovered tremendously in just 2 months. With every step we could see her grow stronger and confident. 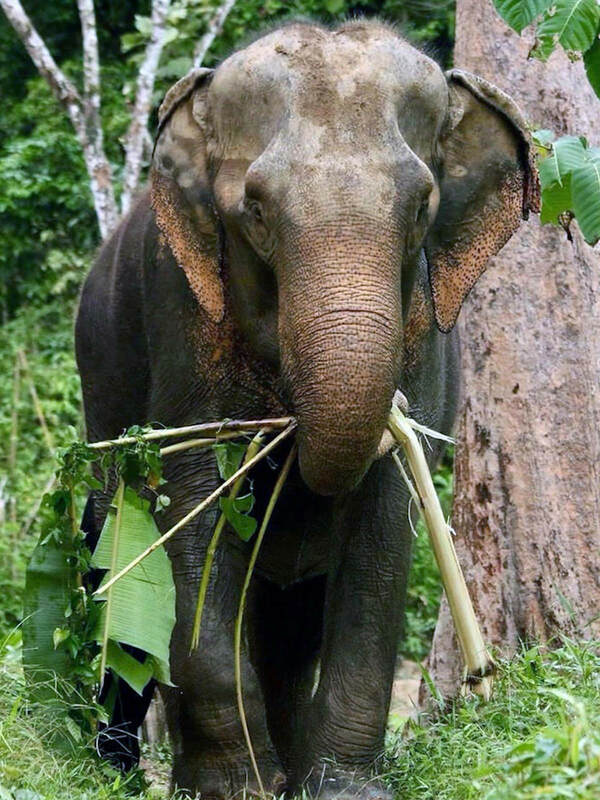 At the day of her passing on 13 February, 2018, Dok Gaew had liberated herself from her past and rehabilitated back into nature, living peacefully and wandering around the sanctuary with her best friends Kannika and Madee. 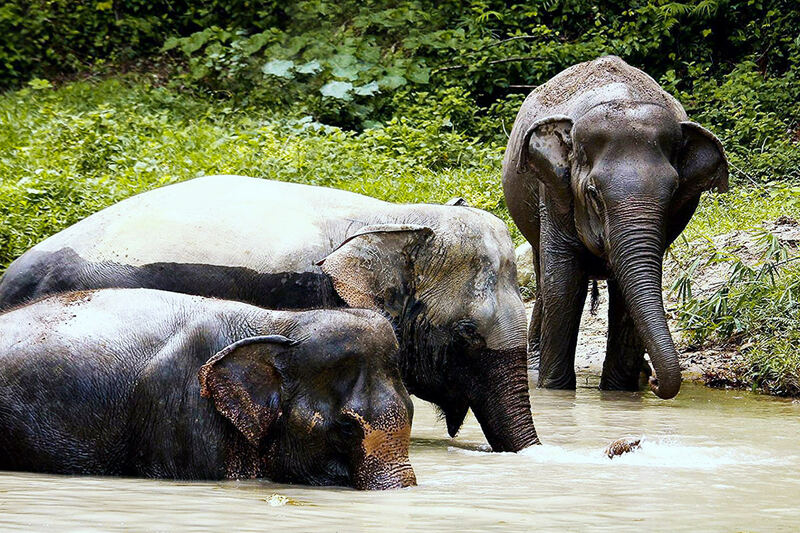 Although we are deeply saddened by her passing, we are happy that she spent the final months of her live living happily and peacefully among nature.